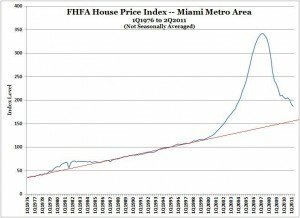 According to the FHFA House Price Index, real estate prices are still falling in Miami and New York. 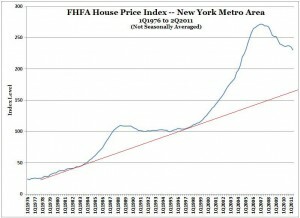 Home prices in New York have even further to go. The New York real estate market remains one of the most overpriced in the country relative to income. At some point, property prices in Miami and New York could start moving sideways rather than down, and work off the remaining overvaluation as a function of time rather than price. On the other hand, it’s also possible that prices overshoot to the downside — i.e., go below the long-term trend line before floating back up to it. In any event, you should assume that the long-term trend is our ultimate destination. Note: FHFA stands for the Federal Housing Finance Agency, which oversees Fannie Mae and Freddie Mac, the government-sponsored entities that buy up most of the mortgages issued in the United States. The FHFA House Price Index tracks repeat sales or refinancings of the same properties over time. Santa Maria Street is one of Coral Gables most desirable addresses. The street runs up the middle of Riviera Country Club, and houses on both sides have golf course views. 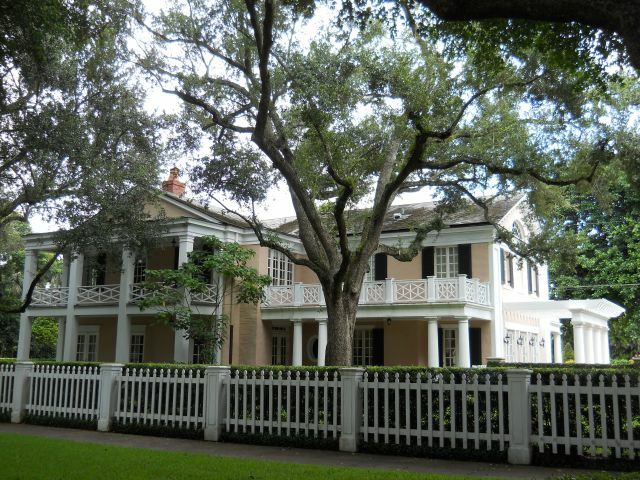 Numerous historic homes and a canopy of old oak trees make Santa Maria and the surrounding neighborhood one of the most picturesque places to live in Coral Gables. The grand home at 4415 Santa Maria changed hands at $3.5 million, or $607/sf. It appears to have been a private sale, because the property was not really listed on the MLS (although the sale has been reported there). 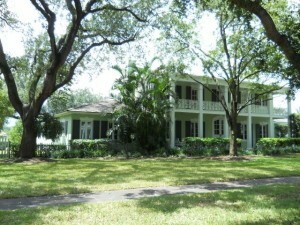 Last sale was in October 2003 for $2.875 million. Another fine historic home, at 4412 Santa Maria, sold for $2.7 million, or $456/sf. 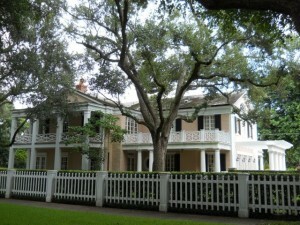 Last sold in March 2006 for $3.78 million. 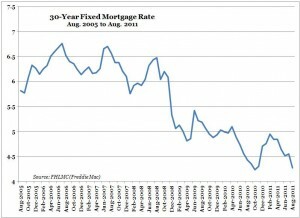 The rate on the 30-year fixed mortgage averaged 4.27% last month (August 2011), according to Freddie Mac. That’s just 4 basis points above the low of 4.23% set in October 2010. Whether you’re getting a good deal on a home in Coral Gables, Miami or Miami Beach depends on a lot of other factors (including the quality of advice you get from a real estate agent). But one thing you can’t complain about is the rate you’re going to pay on your mortgage.